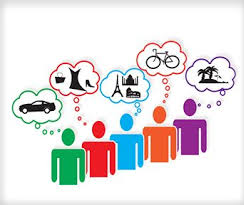 Demographic segmentation involves dividing the market into groups that are identifiable in terms of physical and factual data. The demographic variables may include; age, gender, income, occupation, marital status, family size, race, religion and nationality. These segmentation methods are a popular way of segmenting the customer markets, as the demographic variables are relatively easy to measure. For example, the age range for business travellers may usually span from their late twenties to their mid-fifties. Younger employees are travelling for business purposes and their buying habits are completely different than their older counterparts. On average, millennials took 7.4 business trips in the last year, compared to 6.4 for Generation Xers and 6.3 for baby boomers (Skift, 2018). Younger travellers are less likely to book air travel based on loyalty programme perks. They are more likely to book their flight according to the airline service and the customer experience they offer. Moreover, young travellers are more likely to use room share services like Airbnb, than other segments (Skift, 2018). However, for the time being, major hotel brands are not under any serious threat. At the same time, Uber and other ridesharing services are becoming mainstream across all age groups, as they may be cheaper than taxis (Pew Research, 2016). The age range in the leisure market is a very broad one and quite different to that in the business market. Children particularly can play an important role in leisure travel, as they travel abroad on holidays with their families. Young people in their early to mid-twenties too are prepared to spend their disposable income on travel before they take on the responsibilities of family life. At the other end of the scale, we have those who are retired from work, are in a relatively good health and in good financial position which allows them to travel. In the past, middle-aged males dominated the business travel market. However, recently, the advertising and promotion of airline services have increasingly targeted female business travellers. This market controls 60% of U.S. wealth and influences 85% of purchasing decisions (Skift, 2014). The female gender is high-tech, connected, and social. They represent 58% of online sales (Skift, 2014). To maintain their competitive edge, travel brands must start focusing their campaigns to better target women. The leisure travel market is far more balanced in terms of gender. In fact, in older categories of leisure travellers, that is over the age of sixty, women outnumber men due to their longer life expectancy (Boston Globe, 2016). The ability to travel for leisure purposes greatly depends on an individual’s income. Leisure travel is a luxury which may be foregone when times are financially difficult. Generally, as personal income rises, the demand for air travel increases. However, should there be a recession, money belts are tightened, and less leisure trips may be taken. This is an example of a concept known as income elasticity (this topic will be discussed in Chapter 8). Income elasticity can be defined as the relationship between changes in consumers’ income level and the demand for a particular item. Springer’s authoritative textbook, Travel Marketing, Tourism Economics and the Airline Product has received numerous endorsements from leading academics. This is an excerpt from my latest tourism textbook, entitled; ‘Travel Marketing, Tourism Economics and the Airline Product’. This publication will be available through Springer and Amazon.com. The type of pricing strategy which marketing managers consider is determined by a number of factors, including: organisatonal and marketing objectives; types of pricing objectives; cost levels; other marketing mix variables; market demand; competition, and legal and regulatory issues, among other matters. Company policy and image, target profit margins and staff count could influence the type of pricing policy which the marketing managers will apply. Company policy and image will play an important role when determining a pricing strategy. The price set must be consistent with the general corporate objectives and the strategic direction of the company. For example, a full-service airline may want to be associated with the top-end of the market by providing a high-quality service to the business travel segment. To price below the average rate for such a service may imply an inferior and poor-quality service. Any airline which would like to target the business market should provide an extensive schedule and a high-quality service. Therefore, it will require considerable resources and capabilities to do so. The most fundamental pricing objective is that of survival pricing. When experiencing severe competition, businesses may be forced to offer lower prices than their rivals. This way they will generate revenue, and improve their chances of survival. A tourism service or sub-product will not generate revenue if it is not used over a given period of time (it will perish) . While the service or sub-products may be available for sale at some later point in time, the revenue that was originally lost, can never be regained. For example, a hotel had thirty empty rooms on a specific date. These empty rooms cannot be sold at a later date because the service has been completed, and perished. Similarly, an airline could depart with empty seats which cannot be sold at a later date. Moreover, the demand for tourism products is usually seasonal. For example, many north Americans flee south to Hawaii and to the Caribbean, during the winter months; whilst Australasians travel to Europe during the summer months of June, July and August. Of course, seasonality may be due to other factors, other than climate, including; vacation and holiday periods. For example, families may habitually travel at the same time of the year, usually over Christmas, Easter or summer periods. This is the usual close-down time period for schools, industry and commerce, in many countries. Since tourism is highly seasonal, suppliers may reduce their prices during off-peak times. Hence, a low price strategy assists in creating demand particularly among price-sensitive customers. Conversely, operators may charge higher prices when there are peaks in demand, due to major attractions and special events. Profit maximisation is another pricing objective. However, it may prove difficult to measure, as businesses could not be in a position to determine when they have reached maximum profit. As a result, profit maximisation may be evaluated according to a certain ‘level of satisfaction’. A change in profit relative to previous periods may be considered as satisfactory or unsatisfactory for the businesses. The setting of prices to obtain a fixed rate of return on a company’s investment is a profit-related objective. Many businesses could be aiming to achieve a specific profit. Another possible pricing objective is that of increasing market share. Many companies may design pricing policies which will enable them to improve their market share. However, at times, they may be satisfied with their current status in the market. In this case, their objective would be to retain their status quo. Companies with such an objective may not use pricing as a competitive tool. They will probably maintain a steady market share by nurturing their brand equity. The marketing managers should be careful to analyse all costs so that they will be included in the total cost. Therefore, the pricing of products should be based on the company’s direct and indirect costs (and may consider overhead expenses) if they are projecting a certain profitability margin. The marketing mix elements, including; promotions (the integrated marketing communication mix) and place (distribution channels), could determine the target customers’ perceptions of the firms’ products (or services), in a given competitive context. The extent to which a product is promoted can have a huge effect on consumer demand. The products’ price will usually determine their target market. Low-priced products may attract price-sensitive markets. Such products will be promoted through different marketing communications channels other than high-priced, better quality, premium services. The more expensive the products; the higher the customers’ expectations. Considerable thought and action must go into product development so as to provide the customer with a valuable service which reflects the product’s price. One of the most significant promotional tools is word-of-mouth publicity. 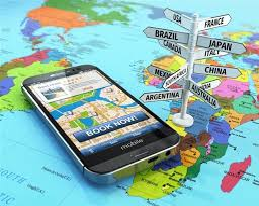 For instance, online reviews and ratings are increasingly playing a major role in tourism marketing. When making a pricing decision, the businesses should consider their distribution costs. The companies’ intermediaries, including; tour operators, online travel agents, and the like, will expect financial compensation for selling travel products. Alternatively, they will expect discounts and special incentives to push the businesses’ products to consumers. For example, they may book large seat orders and place substantial mark-ups on seats which they have bought from the airline (these products may be demanded for inclusive tours). These factors must always be taken into consideration by the airline marketing managers, as they have to add mark-ups to the cost price of seats, when selling them to intermediaries. There is a highly segmented market for tourism products. Each of the market segments vary in terms of elasticity, and service requirements. These variables will influence the way in which prices a set. The business travel segment is generally more inelastic in demand. Fluctuations in prices will not affect demand to any great extent. However, the business travel segment expects a high-quality service. Generally, business travellers are prepared to pay a higher price for such services. The higher fares will not only cover the costs of the superior service, but will also convey an image of a premium, prestige product. The passengers from the leisure travel segment are usually price-sensitive. Their expectations are somewhat lower than those of the business travellers. Demand is extremely elastic in this segment; and an increase in price may result in lower demand. The socio-political factors may affect market demand. If a destination is politically or socially unstable, tourists may not want to go there. Most people like to feel safe and comfortable. For instance, many destinations have experienced dramatic reductions in the number of tourist arrivals, following the terrorist activities in certain countries. Economic factors, including the individuals’ income and well-being, will affect their propensity to travel. However, this may not necessarily translate to an increased demand for all tourism products. For instance, if leisure travellers receive an increase in income, they may decide to travel to long-haul destinations rather than short-haul itineraries. Alternatively, these clients may increase the quality and standard rather than to increase their frequency of travel. Such customers may decide to upgrade their hotel accommodation, or to travel in higher classes. Income may affect demand according to the purpose of travel. For business travellers it may not make much difference, whilst for leisure travellers it can make quite a substantial difference. Their demand may also be influenced by the availability of substitute products. If there are no substitutes for the product, then consumers will be forced to buy regardless of price. In addition, customers may develop perceptions about tourism products. Whether they are accurate or not, they could influence their purchase behaviours. Therefore the travellers’ perceptions, the online ratings and reviews should be carefully considered, as tourism products must always be purchased in advance. The businesses should be aware of their competitors’ prices. They may decide to respond to their rivals’ pricing strategies, or to be proactive by taking the pricing initiative, themselves. At times, competitors may decide to lower their prices: It is not wise for other businesses to follow suit, unless they establish why their competitors are pursuing such a pricing strategy. It may be the case that the competitors have made a bad decision. It must be determined whether the competitors’ pricing initiative was a long term or a short term one. For instance, an airline’s poor fleet planning may result in the company changing its prices on a long-term basis. In such situations, rivals will have to respond or risk losing their market share. Price reductions will eventually lead to lower yields for the airline. As a result, this will have a negative impact on the airline and its long-term sustainability prospects. If the pricing initiative appears to be a short-term action, it is advisable to ignore it, and to avoid de-stabilising the market. The price reductions on certain products may be questioned by the airline’s customers. As discussed above, the airlines may usually charge higher prices for their business and first class as these services are considered as prestige products. The airlines can differentiate themselves from competitors when they provide superior services; that are perceived as an index of quality and corporate image. On the other hand, the airlines’ should continuously monitor those competitors who are resorting to price-cutting policies. Certain leisure markets may be more price-sensitive than others, as they may exhibit higher price-elasticity levels. The lower prices could result in an increase in demand for the economy class of service. Generally, businesses may avoid lowering their fares, as this will affect their bottom lines. Price wars have destroyed the profitability of many businesses. However, there may be a tendency toward price competition: when firms have low variable costs; when there is little differentiation among the competitors’ products; when industry growth rate is low, and; when the economies of scale are important. The businesses need to consider their cost levels before taking the initiative to lower their prices. The lean businesses who may have less costs, will usually be in a much stronger position to lower their prices than other competitors with high costs. However, more established high-cost businesses may have stable financial backing, which will enable them to meet, if not undercut, the new companies’ prices. They could eventually push their competitors out of the market. An increase in price may be required if the business is facing controllable or uncontrollable costs. For example, if the airlines’ uncontrollable costs, include; increased airport landing fees and air traffic control charges; they may either decide to absorb these costs or alternatively, they may increase their fares as a means of covering these added costs. Of course, rival airlines will also face the same pressure. In such cases, the airlines could inform their customers about their uncontrollable costs, which have forced them to increase their fares. Ongoing corporate communications and public relations will help them to maintain their customers’ goodwill. On the other hand, the airlines’ controllable costs, including the employees’ salaries and wages, are under their direct responsibility. Such costs may not justify taking pricing initiatives to improve the organisation’s financial performance. They may even aggravate the airline’s profitability, in the long-term. Legal and regulatory issues may have an impact on a company’s pricing structure. Although, the airline industry has experienced deregulation and liberalisation in the past decades, there is still some government intervention, in certain areas. In international markets, air service agreements between governments necessitate that national airlines should meet and agree on the fares and rates to be charged to passengers. The agreed fare is brought back to both the airline’s governments who have the right to veto the fare. Should this happen, the airline concerned must seek to re-open negotiation. Deregulation and liberalisation have affected the airlines’ pricing policies in many contexts. For example, liberalisation has changed the fares regime in the United States of America, in the European Union and in many other places. Today, several airlines have introduced lower fares which have contributed to increased travel. Moreover, the rise of the low-cost carriers has often resulted in lower air fares within pre-agreed zones. Evidently, pricing is increasingly being used as a competitive tool, in many contexts.